Bankruptcy in the United States is governed under the United States Constitution (Article 1, Section 8, Clause 4) which authorizes Congress to enact "uniform Laws on the subject of Bankruptcies throughout the United States." Congress has exercised this authority several times since 1801, most recently by adopting the Bankruptcy Reform Act of 1978, codified in Title 11 of the United States Code, and commonly referred to as the Bankruptcy Code ("Code"). The Code has been amended several times since, with the most signficant recent changes enacted in 2005 through the Bankruptcy Abuse Prevention and Consumer Protection Act of 2005 (BAPCPA). Some law relevant to bankruptcy is found in other parts of the United States Code. For example, bankruptcy crimes are found in Title 18 of the United States Code (Crimes). Tax implications of bankruptcy are found in Title 26 of the United States Code (Internal Revenue Code), and the creation and jurisdiction of bankruptcy courts are found in Title 28 of the United States Code (Judiciary and Judicial procedure). While bankruptcy cases are filed in United States Bankruptcy Court (units of the United States District Courts), and federal law governs procedure in bankruptcy cases, state laws are often applied when determining property rights. For example, law governing the validity of liens or rules protecting certain property from creditors (known as exemptions), derive from state law. Because state law plays a major role in many bankruptcy cases, it is often unwise to generalize some bankruptcy issues across state lines. 3.6.3 Non-Bankruptcy law creditor - "Strong Arm"
Before 1898, there were several short-lived federal bankruptcy laws in the U.S. The first was the act of 1800 which was repealed in 1803 and followed by the act of 1841, which was repealed in 1843, and then the act of 1867, which was amended in 1874 and repealed in 1878. The first modern Bankruptcy Act in America, sometimes called the "Nelson Act", was initially entered into force in 1898. The current Bankruptcy Code was enacted in 1978 by § 101 of the Bankruptcy Reform Act of 1978, and generally became effective on October 1, 1979. The current Code completely replaced the former Bankruptcy Act, the "Chandler Act" of 1938. The Chandler Act gave unprecedented authority to the Securities and Exchange Commission in the administration of bankruptcy filings. The current Code has been amended numerous times since 1978. See also the Bankruptcy Abuse Prevention and Consumer Protection Act of 2005. Entities seeking relief under the Bankruptcy Code may file a petition for relief under a number of different chapters of the Code, depending on circumstances. Title 11 contains nine chapters, six of which provide for the filing of a petition. The other three chapters provide rules governing bankruptcy cases in general. A case is typically referred to by the chapter under which the petition is filed. These chapters are described below. Liquidation under a Chapter 7 filing is the most common form of bankruptcy. Liquidation involves the appointment of a trustee who collects the non-exempt property of the debtor, sells it and distributes the proceeds to the creditors. Because each state allows for debtors to keep essential property, most Chapter 7 cases are "no asset" cases, meaning that there are not sufficient non-exempt assets to fund a distribution to creditors. U.S. Bankruptcy law changed dramatically in 2005 with the passage of BAPCPA, which made it more difficult for consumer debtors to file bankruptcy in general and Chapter 7 in particular. Advocates of BAPCPA claimed that its passage would reduce losses to creditors such as credit card companies, and that those creditors would then pass on the savings to other borrowers in the form of lower interest rates. Critic Michael Somkovic asserts that these claims turned out to be false. He charges that although credit card company losses decreased after passage of the Act, prices charged to customers increased, and credit card company profits soared. A Chapter 9 bankruptcy is available only to municipalities. Chapter 9 is a form of reorganization, not liquidation. A famous example of a municipal bankruptcy was in Orange County, California. 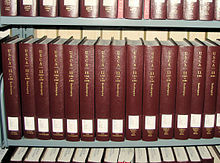 A few volumes of Title 11 (Bankruptcy) of the United States Code Annotated (U.S.C.A.) at a law library. Bankruptcy under Chapter 11, Chapter 12, or Chapter 13 is more complex reorganization and involves allowing the debtor to keep some or all of his or her property and to use future earnings to pay off creditors. Consumers usually file chapter 7 or chapter 13. Chapter 11 filings by individuals are allowed, but are rare. Chapter 12 is similar to Chapter 13 but is available only to "family farmers" and "family fisherman" in certain situations. Chapter 12 generally has more generous terms for debtors than a comparable Chapter 13 case would have available. As recently as mid-2004 Chapter 12 was scheduled to expire, but in late 2004 it was renewed and made permanent. The Bankruptcy Abuse Prevention and Consumer Protection Act of 2005 added Chapter 15 (as a replacement for section 304) and deals with cross-border insolvency: foreign companies with U.S. debts. As a threshold matter, bankruptcy cases are either voluntary or involuntary. In voluntary bankruptcy cases, which account for the overwhelming majority of cases, debtors petition the bankruptcy court. With involuntary bankruptcy, creditors, rather than the debtor, file the petition in bankruptcy. Involuntary petitions are rare, however, and are occasionally used in business settings to force a company into bankruptcy so that creditors can enforce their rights. Commencement of a bankruptcy case creates an "estate." It is against this estate to which the debtor's creditors must look. The estate consists of all property interests of the debtor at the time of case commencement, subject to certain exclusions and exemptions. In the case of a married person in a community property state, the estate may include certain community property interests of the debtor's spouse even if the spouse has not filed bankruptcy. The estate may also include other items, including but not limited to property acquired by will or inheritance within 180 days after case commencement. For federal income tax purposes, the bankruptcy estate of an individual in a Chapter 7 or 11 case is a separate taxable entity from the debtor. The bankruptcy estate of a corporation, partnership, or other collective entity, or the estate of an individual in Chapters 12 or 13, is not a separate taxable entity from the debtor. In Northern Pipeline Co. v. Marathon Pipe Line Co., the United States Supreme Court held that certain provisions of the law relating to Article I bankruptcy judges (who are not life-tenured "Article III" judges) are unconstitutional. Congress responded in 1984 with changes to remedy constitutional defects. Under the revised law, bankruptcy judges in each judicial district constitute a "unit" of the applicable United States District Court. The judge is appointed for a term of 14 years by the United States Court of Appeals for the circuit in which the applicable district is located. The United States District Courts have subject-matter jurisdiction over bankruptcy matters. However, each such district court may, by order, "refer" bankruptcy matters to the Bankruptcy Court, and most district courts have a standing "reference" order to that effect, so that all bankruptcy cases are handled by the Bankruptcy Court. In unusual circumstances, a district court may "withdraw the reference" (i.e., taking a particular case or proceeding within the case away from the bankruptcy court) and decide the matter itself. Decisions of the bankruptcy court are generally appealable to the district court, and then to the Court of Appeals. However, in a few jurisdictions a separate court called a Bankruptcy Appellate Panel (composed of bankruptcy judges) hears certain appeals from bankruptcy courts. The United States Attorney General appoints a separate United States Trustee for each of twenty-one geographical regions for a five year term. Each Trustee is removable from office by and works under the general supervision of the Attorney General. The U.S. Trustees maintain regional offices that correspond with federal judicial districts and are administratively overseen by the Executive Office for United States Trustees in Washington, D.C. Each United States Trustee, an officer of the U.S. Department of Justice, is responsible for maintaining and supervising a panel of private trustees for chapter 7 bankruptcy cases. The Trustee has other duties including the administration of most bankruptcy cases and trustees. Under section 307 of title 11, a U.S. Trustee "may raise and may appear and be heard on any issue in any case or proceeding" in bankruptcy except for filing a plan of reorganization in a chapter 11 case. Bankruptcy Code § 362 imposes the automatic stay at the moment a bankruptcy petition is filed. The automatic stay generally prohibits the commencement, enforcement or appeal of actions and judgments, judicial or administrative, against a debtor for the collection of a claim that arose prior to the filing of the bankruptcy petition. The automatic stay also prohibits collection actions and proceedings directed toward property of the bankruptcy estate itself. In some courts violations of the stay are treated as void ab initio as a matter of law, although the court may annul the stay to give effect to otherwise void acts. Other courts treat violations as voidable (not necessarily void ab initio). Any violation of the stay may give rise to damages being assessed against the violating party. Non-willful violations of the stay are often excused without penalty, but willful violators are liable for punitive damages and may also be found to be in contempt of court. A secured creditor may be allowed to take the applicable collateral if the creditor first obtains permission from the court. Permission is requested by a creditor by filing a motion for relief from the automatic stay. The court must either grant the motion or provide adequate protection to the secured creditor that the value of their collateral will not decrease during the stay. Without the bankruptcy protection of the automatic stay creditors might race to the courthouse to improve their positions against a debtor. If the debtor's business were facing a temporary crunch, but were nevertheless viable in the long term, it might not survive a "run" by creditors. A run could also result in waste and unfairness among similarly situated creditors. Bankruptcy Code 362(d) gives 4 ways that a creditor can get the automatic stay removed. All avoidance actions attempt to limit the risk of the legal system accelerating the financial demise of a financially unstable debtor who has not yet declared bankruptcy. The bankruptcy system generally endeavors to reward creditors who continue to extend financing to debtors and discourage creditors from accelerating their debt collection efforts. Avoidance actions are some of the most obvious of the mechanisms to encourage this goal. Despite the apparent simplicity of these rules, a number of exceptions exist in the context of each category of avoidance action. Preference actions generally permit the trustee to avoid (that is, to void an otherwise legally binding transaction) certain transfers of the debtor's property that benefit creditors where the transfers occur on or within 90 days of the date of filing of the bankruptcy petition. For example, if a debtor has a debt to a friendly creditor and a debt to an unfriendly creditor, and pays the friendly creditor, and then declares bankruptcy one week later, the trustee may be able to recover the money paid to the friendly creditor under 11 U.S.C. § 547. While this "reach back" period typically extends 90 days backwards from the date of the bankruptcy, the amount of time is longer in the case of "insiders" -- typically one year. Insiders include family and close business contacts of the debtor. Bankruptcy fraudulent transfer law is similar in practice to non-bankruptcy fraudulent transfer law. Some terms, however, are more generous in bankruptcy than they are otherwise. For instance, the statute of limitations within bankruptcy is two years as opposed to a shorter time frame in some non-bankruptcy contexts. Generally a fraudulent transfer action operates in much the same way as a preference avoidance. Fraudulent transfer actions, however, sometimes require a showing of intent to shelter the property from a creditor. Non-Bankruptcy law creditor - "Strong Arm"
The strong arm avoidance power stems from 11 U.S.C. § 544 and permits the trustee to exercise the rights that a debtor in the same situation would have under the relevant state law. Specifically, § 544(a) grants the trustee the rights of avoidance of (1) a judicial lien creditor, (2) an unsatisfied lien creditor, and (3) a bona fide purchaser of real property. In practice these avoidance powers often overlap with preference and fraudulent transfer avoidance powers. Secured creditors whose security interests survive the commencement of the case may look to the property that is the subject of their security interests, after obtaining permission from the court (in the form of relief from the automatic stay). Security interests, created by what are called secured transactions, are liens on the property of a debtor. Unsecured creditors are generally divided into two classes: unsecured priority creditors and general unsecured creditors. Unsecured priority creditors are further subdivided into classes as described in the law. In some cases the assets of the estate are insufficient to pay all priority unsecured creditors in full; in such cases the general unsecured creditors receive nothing. Because of the priority and rank ordering feature of bankruptcy law, debtors sometimes improperly collude with others (who may be related to the debtor) to prefer them, by for example granting them a security interest in otherwised unpledged assets. For this reason, the bankruptcy trustee is permitted to reverse certain transactions of the debtor within period of time prior to the date of bankruptcy filing. The time period varies depending on the relationship of the parties to the debtor and the nature of the transaction. The bankruptcy trustee may reject certain executory contracts and unexpired leases. For bankruptcy purposes, a contract is generally considered executory when both parties to the contract have not yet fully performed a material obligation of the contract. If the Trustee (or debtor in possession, in many chapter 11 cases) rejects a contract, the debtor's bankruptcy estate is subject to ordinary breach of contract damages, but the damages amount is an obligation and is generally treated as an unsecured claim. Under some chapters, notably chapters 7, 9 and 11, committees of various stakeholders are appointed by the bankruptcy court. In Chapter 11 and 9, these committees consist of entities that hold the seven largest claims of the kinds represented by the committee. Other committees may also be appointed by the court. Committees have daily communications with the debtor and the debtor's advisers and have access to a wide variety of documents as part of their functions and responsibilities. Although in theory all property of the debtor that is not excluded from the estate under the Bankruptcy Code becomes property of the estate (i.e., is automatically transferred from the debtor to the estate) at the time of commencement of a case, an individual debtor (not a partnership, corporation, etc.) may claim certain items of property as "exempt" and thereby keep those items (subject, however, to any valid liens or other encumbrances). An individual debtor may choose between a "federal" list of exemptions and the list of exemptions provided by the law of the state in which the debtor files the bankruptcy case unless the state in which the debtor files the bankruptcy case has enacted legislation prohibiting the debtor from choosing the exemptions on the federal list. Almost 40 states have done so. In states where the debtor is allowed to choose between the federal and state exemptions, the debtor has the opportunity to choose the exemptions that most fully benefit him or her and, in many cases, may convert at least some of his or her property from non-exempt form (e.g. cash) to exempt form (e.g. increased equity in a home created by using the cash to pay down a mortgage) prior to filing the bankruptcy case. The exemption laws vary greatly from state to state. In some states, exempt property includes equity in a home or car, tools of the trade, and some personal effects. In other states an asset class such as tools of trade will not be exempt by virtue of its class except to the extent it is claimed under a more general exemption for personal property. One major purpose of bankruptcy is to ensure orderly and reasonable management of debt. Thus, exemptions for personal effects are thought to prevent punitive seizures of items of little or no economic value (personal effects, personal care items, ordinary clothing), since this does not promote any desirable economic result. Similarly, tools of the trade may, depending on the available exemptions, be a permitted exemption as their continued possession allows the insolvent debtor to move forward into productive work as soon as possible. The Bankruptcy Abuse Prevention and Consumer Protection Act of 2005 placed pension plans not subject to the Employee Retirement Income Security Act of 1974 (ERISA), like 457 and 403(b) plans, in the same status as ERISA qualified plans with respect to having exemption status akin to spendthrift trusts. SEP-IRAs and SIMPLEs still are outside federal protection and must rely on state law. Most states have property laws that allow a trust agreement to contain a legally enforceable restriction on the transfer of a beneficial interest in the trust (sometimes known as an "anti-alienation provision"). The anti-alienation provision generally prevents creditors of a beneficiary from acquiring the beneficiary's share of the trust. Such a trust is sometimes called a spendthrift trust. To prevent fraud, most states allow this protection only to the extent that the beneficiary did not transfer property to the trust. Also, such provisions do not protect cash or other property once it has been transferred from the trust to the beneficiary. Under the U.S. Bankruptcy Code, an anti-alienation provision in a spendthrift trust is recognized. This means that the beneficiary's share of the trust generally does not become property of the bankruptcy estate. In a Chapter 7 liquidation case, an individual debtor may redeem certain "tangible personal property intended primarily for personal, family, or household use" that is encumbered by a lien. To qualify, the property generally either (A) must be exempt under section 522 of the Bankruptcy Code, or (B) must have been abandoned by the trustee under section 554 of the Bankruptcy Code. To redeem the property, the debtor must pay the lienholder the full amount of the applicable allowed secured claim against the property. Key concepts in bankruptcy include the debtor's discharge and the related "fresh start." Discharge is available in some but not all cases. For example, in a Chapter 7 case only an individual debtor (not a corporation, partnership, etc.) can receive a discharge. The effect of a bankruptcy discharge is to eliminate only the debtor's personal liability, not the in rem liability for a secured debt to the extent of the value of collateral. The term "in rem" essentially means "with respect to the thing itself" (i.e., the collateral). For example, if a debt in the amount of $100,000 is secured by property having a value of only $80,000, the $20,000 deficiency is treated, in bankruptcy, as an unsecured claim (even though it's part of a "secured" debt). The $80,000 portion of the debt is treated as a secured claim. Assuming a discharge is granted and none of the $20,000 deficiency is paid (e.g., due to insufficiency of funds), the $20,000 deficiency—the debtor's personal liability—is discharged (assuming the debt is not non-dischargeable under another Bankruptcy Code provision). The $80,000 portion of the debt is the in rem liability, and it is not discharged by the court's discharge order. This liability can presumably be satisfied by the creditor taking the asset itself. An essential concept is that when commentators say that a debt is "dischargeable," they are referring only to the debtor's personal liability on the debt. To the extent that a liability is covered by the value of collateral, the debt is not discharged. This analysis assumes, however, that the collateral does not increase in value after commencement of the case. If the collateral increases in value and the debtor (rather than the estate) keeps the collateral (e.g., where the asset is exempt or is abandoned by the trustee back to the debtor), the amount of the creditor's security interest may or may not increase. In situations where the debtor (rather than the creditor) is allowed to benefit from the increase in collateral value, the effect is called "lien stripping" or "paring down." Lien stripping is allowed only in certain cases depending on the kind of collateral and the particular chapter of the Code under which the discharge is granted. The discharge also does not eliminate certain rights of a creditor to setoff (or "offset") certain mutual debts owed by the creditor to the debtor against certain claims of that creditor against the debtor, where both the debt owed by the creditor and the claim against the debtor arose prior to the commencement of the case. Any debt tainted by one of a variety of wrongful acts recognized by the Bankruptcy Code, including defalcation, or consumer purchases or cash advances above a certain amount incurred a short time before filing, cannot be discharged. However, certain kinds of debt, such as debts incurred by way of fraud, may be dischargeable through the Chapter 13 super discharge. All in all, as of 2005, there are 19 general categories of debt that cannot be discharged in a Chapter 7 bankruptcy, and fewer debts that cannot be discharged under Chapter 13. The section of the Bankruptcy code that governs which entities are permitted to file a bankruptcy petition is 11 U.S.C. § 109. Banks and other deposit institutions, insurance companies, railroads, and certain other financial institutions and entities regulated by the federal and state governments cannot be a debtor under the Bankruptcy Code. Instead, special state and federal laws govern the liquidation or reorganization of these companies. In the U.S. context at least, it is incorrect to refer to a bank or insurer as being "bankrupt". The terms "insolvent", "in liquidation", or "in receivership" would be appropriate under some circumstances. The Pension Benefit Guaranty Corporation (PBGC), a U.S. government corporation that insures certain defined benefit pension plan obligations, may assert liens in bankruptcy under either of two separate statutory provisions. The first is found in the Internal Revenue Code, at 26 U.S.C. § 412(n), which provides that liens held by the PBGC have the status of a tax lien. Under this provision, the unpaid mandatory pension contributions must exceed one million dollars for the lien to arise. The second statute is 29 U.S.C. § 1368, under which a PBGC lien has the status of a tax lien in bankruptcy. Under this provision, the lien may not exceed 30% of the net worth of all persons liable under a separate provision, 29 U.S.C. § 1362(a). In bankruptcy, PBGC liens (like Federal tax liens) generally are not valid against certain competing liens that were perfected before a notice of the PBGC lien was filed. In the United States, criminal provisions relating to bankruptcy fraud and other bankruptcy crimes are found in sections 151 through 158 of Title 18 of the United States Code. Bankruptcy fraud includes filing a bankruptcy petition or any other document in a bankruptcy case for the purpose of attempting to execute or conceal a scheme or artifice to defraud. Bankruptcy fraud also includes making a false or fraudulent representation, claim or promise in connection with a bankruptcy case, either before or after the commencement of the case, for the purpose of attempting to execute or conceal a scheme or artifice to defraud. Bankruptcy fraud is punishable by a fine, or by up to five years in prison, or both. Knowingly and fraudulently concealing property of the estate from a custodian, trustee, marshal, or other court officer is a separate offense, and may also be punishable by a fine, or by up to five years in prison, or both. The same penalty may be imposed for knowingly and fraudulently concealing, destroying, mutilating, falsifying, or making a false entry in any books, documents, records, papers, or other recorded information relating to the property or financial affairs of the debtor after a case has been filed. Certain offenses regarding fraud in connection with a bankruptcy case may also be classified as "racketeering activity" for purposes of the Racketeer Influenced and Corrupt Organizations Act (RICO). Any person who receives income directly or indirectly derived from a "pattern" of such racketeering activity (generally, two or more offensive acts within a ten year period) and who uses or invests any part of that income in the acquisition, establishment, or operation of any enterprise engaged in (or affecting) interstate or foreign commerce may be punished by up to twenty years in prison. Bankruptcy crimes are prosecuted by the United States Attorney, typically after a reference from the United States Trustee, the case trustee, or a bankruptcy judge. Bankruptcy fraud can also sometimes lead to criminal prosecution in state courts, under the charge of theft of the goods or services obtained by the debtor for which payment, in whole or in part, was evaded by the fraudulent bankruptcy filing. On January 23, 2006, the Supreme Court, in Central Virginia Community College v. Katz, declined to apply state sovereign immunity from Seminole Tribe v. Florida, to defeat a trustee's action under 11 U.S.C. § 547 to recover preferential transfers made by a debtor to a state agency. The Court ruled that Article I, section 8, clause 4 of the U.S. Constitution (empowering Congress to establish uniform laws on the subject of bankruptcy) abrogates the state's sovereign immunity in suits to recover preferential payments. In 2008, there were 1,117,771 bankruptcy filings in the United States courts. Of those, 744,424 were chapter 7 bankruptcies, while 362,762 were chapter 13. Personal bankruptcies may be caused by a number of factors. In 2008, over 96% of all bankruptcy filings were non-business filings, and of those, approximately two-thirds were chapter 7 cases. Although the individual causes of bankruptcy are complex and multifaceted, the majority of personal bankruptcies involve substantial medical bills. Personal bankruptcies are typically filed under Chapter 7 or Chapter 13. Personal Chapter 11 bankruptcies are relatively rare. The American Journal of Medicine says over 3 out of 5 personal bankruptcies are due to medical debt. The largest bankruptcy in U.S. history occurred on September 15, 2008, when Lehman Brothers Holdings Inc. filed for Chapter 11 protection with more than USD$639 billion in assets. Washington Mutual 9/26/2008 $327,913,000,000 Savings & Loan Holding Co.
Conseco, Inc. 12/17/2002 $61,392,000,000 Financial Services Holding Co.
^ Act of July 1, 1898, ch. 541, 30 Stat. 544. ^ Pub. L. No. 95-598, 92 Stat. 2549 (November 6, 1978). ^ "1938: Securities And Exchange Commission - Archive Article - MSN Encarta". Archived from the original on 2009-10-31. http://www.webcitation.org/5kwPrnHU8. ^ See generally Judith A. Fitzgerald, Arthur J. Gonzalez & Mary F. Walrath, Rutter Group Practice Guide: Bankruptcy, paragr. 10:40, at p. 10-5, The Rutter Group, a Thomson Reuters Business (2011). ^ Osmanov. "Bankruptcy in the United States". Title 11, Chapter 7 Bankruptcy. http://bankruptcy-law-online.com/category/chapter-7-bankruptcy/. Retrieved 8/11/2011. ^ See generally 11 U.S.C. § 541. ^ See generally 11 U.S.C. § 541(a)(2). ^ See 11 U.S.C. § 541(a)(5). ^ See generally 26 U.S.C. § 1398. ^ See generally 26 U.S.C. § 1399. ^ 458 U.S. 50 (1982). ^ See 28 U.S.C. § 151. ^ See 28 U.S.C. § 152. ^ See 28 U.S.C. § 1334(a). ^ 28 U.S.C. § 157(d). ^ See 28 U.S.C. § 158(a). ^ See 28 U.S.C. § 158(b). ^ See 28 U.S.C. § 581 and 28 U.S.C. § 586(c). ^ See 28 U.S.C. § 586(a)(1). ^ See generally 28 U.S.C. § 586(a)(3). ^ 11 U.S.C. § 362. ^ Sikes v. Global Marine, Inc., 881 F.2d 176 (5th Cir. 1989). ^ See 11 U.S.C. § 362(k). ^ See 11 U.S.C. § 365. ^ See e.g., Texas Property Code section 112.035 and 11 U.S.C. § 541(c)(2). ^ See 11 U.S.C. § 722. ^ See 11 U.S.C. § 727(a)(1). ^ See 11 U.S.C. § 553. ^ Michael S. Terrien & Brian I. Swett, Pension Protection Act, New FASB Rule May Put Secured Lenders at Greater Risk of PBGC Liens, ABI Journal (Dec. 2006-Jan. 2007), American Bankr. Institute, as republished at . ^ Id. See 26 U.S.C. § 6323(a) and 26 U.S.C. § 6323(f). ^ See generally 18 U.S.C. § 157. ^ See 18 U.S.C. § 152; see also 18 U.S.C. § 1519, which provides for a 20 year prison sentence. ^ Codified at 18 U.S.C. § 1961 through 18 U.S.C. § 1968. ^ See generally 18 U.S.C. § 1962 and 18 U.S.C. § 1963. ^ 517 U.S. 44 (1996). ^ "Medical Debt Huge Bankruptcy Culprit - Study: It's Behind Six-In-Ten Personal Filings". CBS. 2009-06-05. http://www.cbsnews.com/stories/2009/06/05/earlyshow/health/main5064981.shtml. Retrieved 2009-06-22. ^ David U. Himmelstein, MD, Deborah Thorne, PhD, Elizabeth Warren, JD, Steffie Woolhandler, MD, MPH, "Medical Bankruptcy in the United States, 2007: Results of a National Study" The American Journal of Medicine, Month 2009. ^ "CDS dealers honour trades to cut Lehman risk". Reuters. 2008-09-15. http://www.reuters.com/article/rbssFinancialServicesAndRealEstateNews/idUSLF13895120080915. Retrieved 2008-09-17. ^ "Largest corporate bankruptcies". Bankruptcydata.com. http://www.bankruptcydata.com/Research/Largest_Overall_All-Time.pdf. Born Losers: A History of Failure in America, by Scott A. Sandage (Harvard University Press, 2005). Debt's Dominion: A History of Bankruptcy Law in America, by David A. Skeel (Princeton University Press, 2001) ISBN 0-6911-1637-7. Navigating Failure: Bankruptcy and Commercial Society in Antebellum America, by Edward Balleisen (University of North Carolina Press, 2001) ISBN 0-8078-2600-6. Student loan program : a journey through the world of educational lending, collection, and litigation. [Mechanicsburg, Pa.] (5080 Ritter Rd., Mechanicsburg 17055-6903) : Pennsylvania Bar Institute, c2003. vii, 300 p. : forms ; 28 cm. This page was last modified on 30 October 2011 at 13:49.